A phenomenal singer/songwriter and guitarist, Colton Weatherston’s new album showcases his many talents. Equally at ease as a guitarist, singer, arranger, and recording engineer, this new album features his own stylistic blend of brazilian, jazz, dixieland and swing music. There’s a retro feel to Colton Weatherston’s self-titled debut album, but it would be a mistake to think that this pleasant collection of ballads, standards, bossa novas, and swing pieces is a simple look backward. First, the sound and sonic feel on these pieces is state of the art, and even on the more sedate tracks there’s a sparkling energy at the root of things. 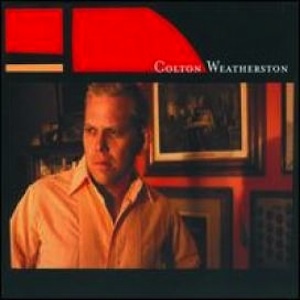 Weatherston is a fine jazz guitarist, and he’s assimilated the styles of players like Wes Montgomery and Chet Baker into his own clear tone, while his singing voice is warm, comfortable, and familiar-sounding, all of which are strengths here. The opening track, the old standard “On the Sunny Side of the Street,” sets the tone, and it’s a breezy, warm rendition that starts things off perfectly. Other high points here include a nice vocal take on Oscar Hammerstein and Jerome Kern’s “All the Things You Are” as well as the big band-sounding instrumental run-through of the song that closes out the album’s sequence. Also worth noting is Detroit’s Marcus Belgrave’s zipping, muted trumpet solo on “There Will Never Be Another You,” which is almost worth the price of admission on its own. There’s nothing really innovative going on with this release, and it’s deliberately nostalgic in tone, but the energy and comfort level are high and Weatherston never completely tips over into affected territory with his vocals, although he comes close with a couple of tracks. It’s his guitar playing that is the real star here, and he’s one of those guitarists who instinctively seems to know when more is too much and less is just right.